Irwin Mark Jacobs was born on the 18th October 1933, in New Bedford, Massachusetts USA, and is an electrical engineer, who is most famous for being a co-founder of the globally renowned telecommunication equipment and semiconductor company – Qualcomm. Apart from this, Jacobs is also widely known as a co-founder and former CEO of Linkabit Corporation. Have you ever wondered how much wealth this veteran businessman has accumulated so far? How rich Irwin Jacobs is? According to sources, it is estimated that the total amount of Irwin Jacobs’ net worth, as of early 2017, is $1.23 billion, acquired largely through his successful multinational companies which have contributed significantly to the global world of communications. Jacobs attended Cornell University from which he graduated with the Bachelor of Science degree in electrical engineering in1956. Later, he enrolled at the Massachusetts Institute of Technology (the meritorious MIT) where he obtained his Master of Science degree in 1957, and where in 1959 he was awarded his Doctor of Science degree in Electrical Engineering and Computer Science (EESC). He stayed then at MIT until 1966, serving as an Assistant, and later Associate Professor of Electrical Engineering. Between 1966 and 1972, Jacobs was a professor of Computer Science and Engineering at the University of California in San Diego, California – the textbook “Principles of Communication Engineering” which was co-authored by him, is still in use today. These engagements provided the basis for Irwin Jacobs’ net worth. Concurrently, in 1968 alongside Leonard Kleinrock and Andrew Viterbi, Irwin Jacobs co-founded Linkabit Corporation, a San Diego-based technology company. Under Jacobs’ guidance as the company’s CEO and chairman, Linkabit developed Very Small Aperture Earth Terminals (VSATs) as well as the satellite-to-home TV system named VideoCiper®. After the 1980 Linkabit merge with M/A-COM, Jacobs served as company’s executive vice president before he resigned in 1985. It is certain that all these accomplishments helped Irwin Jacobs to dramatically increase the total size of his net worth. In 1985, Jacobs co-founded a new company – Qualcomm; soon after, the company developed and presented its, at that time, revolutionary and technologically advanced two-way mobile messaging and satellite locating service – OmniTRACS. In 1990, Jacobs and Qualcomm set the foundation of modern mobile communications with TDMA technology and Code Division Multiple Access (CDMA) which was instantly adopted as one of two digital standards, right next to Global System for Mobile Communications (GSM). Doubtlessly, not only that these achievements have helped people all over the globe to communicate much more easily, but these also contributed to Irwin Jacobs’ wealth by a large margin. Serving as the CEO and later as the chairman, Irwin Jacobs has developed Qualcomm into a multinational visionary telecommunication giant with over 30,000 employees in all corners of the globe, as well as one of today’s innovation leaders. Qualcomm’s chips and equipment are used in the majority of today’s communication gear, while its CDMA wireless technology is used in 3G and 4G smartphones by over 2.2 billion people worldwide, every day. In 2009, Irwin Jacobs resigned from his chairman position, passing it to his son, Paul E. Jacobs. It is certain, that all these business ventures and commercial successes have dramatically increased Irwin Jacobs’ net worth in total. 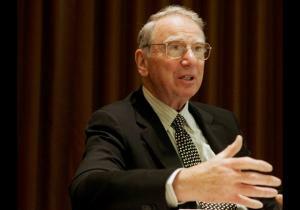 Since 2006, Irwin Jacobs has been the chairman of the board of trustees of Salk Institute for Biological Studies. Between 2008 and 2012, he served as the National Academy of Engineering’s chairman, while currently he serves as a member of the Board of Advisors of the King Abdulaziz City for Science and Technology Innovation and Entrepreneurship, as well as a Cornell NYC steering committee member. For his work and contribution to global communications, Irwin Jacobs has received several prestigious honors, including among several others, the Marconi Prize and the National Medal of Technology and Innovation. In 2013, Jacobs was inducted into the National Inventors Hall of Fame, and in 2014 he was elected to the Computer History Museum in Mountain View, California. When it comes to his personal life, Irwin Jacobs has been married since 1954 to Joan Klein, with whom he has four sons. Apart from his business career, Irwin Jacobs is a generous philanthropist; alongside his wife, Jacobs has donated several hundreds of millions of dollars to several educational institutions, organizations and schools focused in the fields of engineering, computer science and communications.